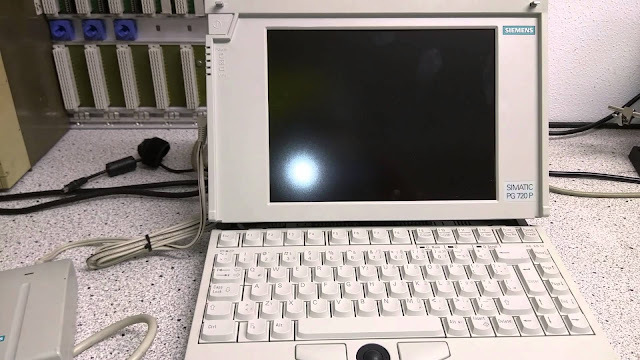 The Siemens PG series was specialized notebook with a special port for connecting to their PLC devices. Many years ago I asked Siemens whether we could use a regular notebook and buy just the special PLC adapter, they said it was possible and is actually recommended. However, the the purchasing people said we're rich, and Siemens notebooks are very rugged and should last much longer than regular notebooks, so we ended up buying a PG 720 PII for a lot of money. And rugged they are! I got called in recently to support the PLC, and was surprised to find that the PG still worked. This is what a new PG 720 P looks like, picture found on the net. The PII is identical except for better hardware specs. 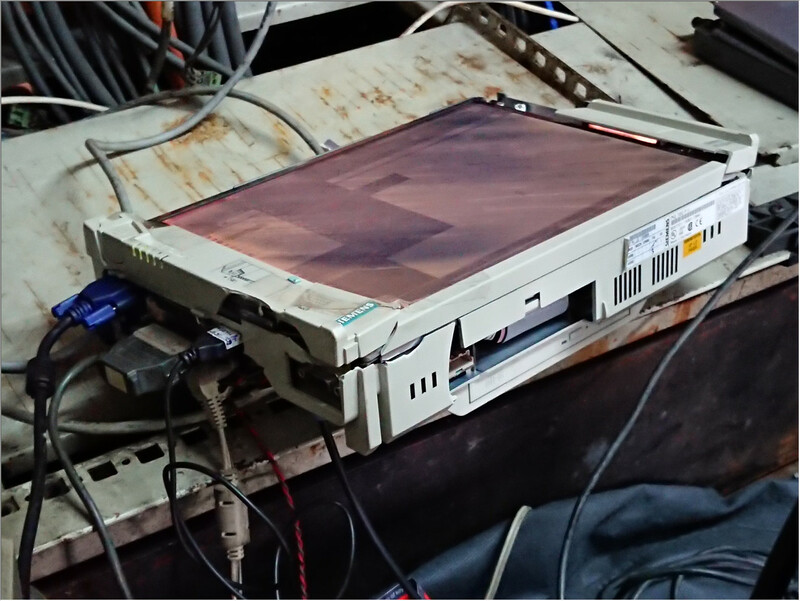 Oh, one special thing about the PG 720 PII we have (not sure about the P) is that it has a 2.88 MB floppy disk drive with laser tracked heads so it was able to read any floppy disk we throw at it. Back when we used a lot of floppy disks I used to borrow the PG just to read the bad disks. 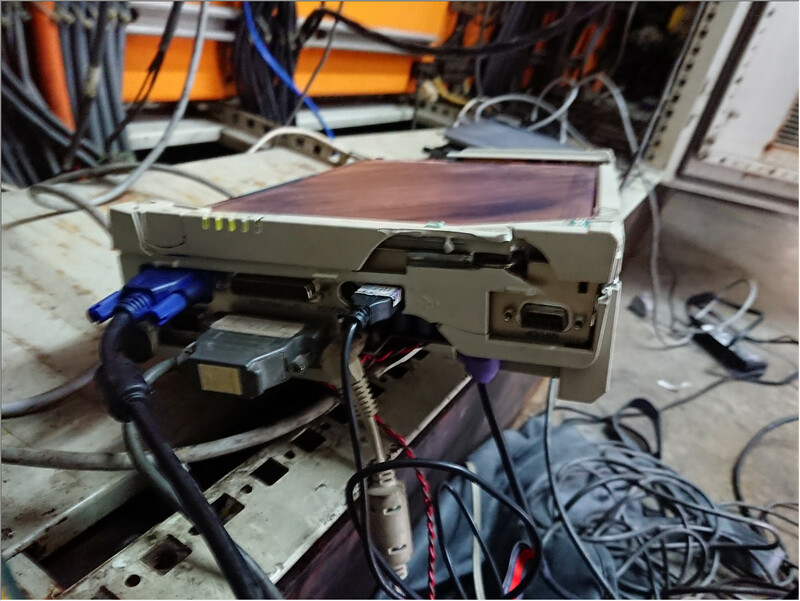 It has a keyboard that also works as the screen cover, ours was long broken so it was just unplugged and replaced with regular mouse and keyboard. 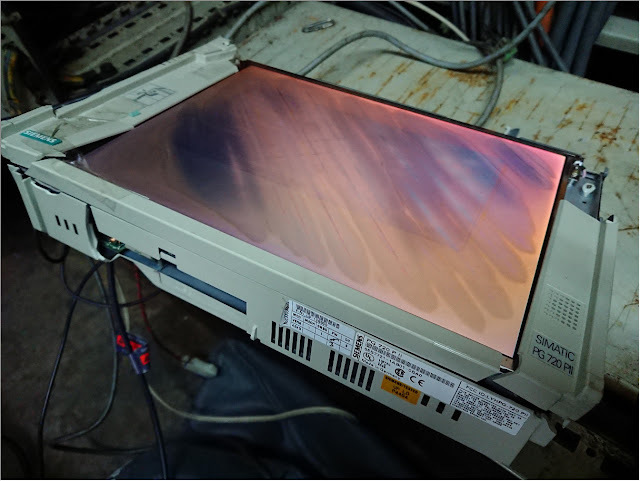 The LCD screen still works but is cracked and faded, so we use an external monitor. The plastic around the screen was all brittle. I wanted to move the PG a bit for a better angle to photograph and another huge chunk of plastic broke off. The engineers yelled at me to get my hands off his precious. Good times.